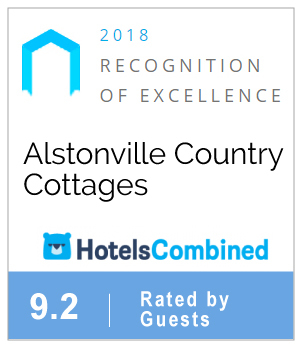 Welcome to Alstonville Country Cottages! Escape the demands of life to relax at Alstonville Country Cottages. 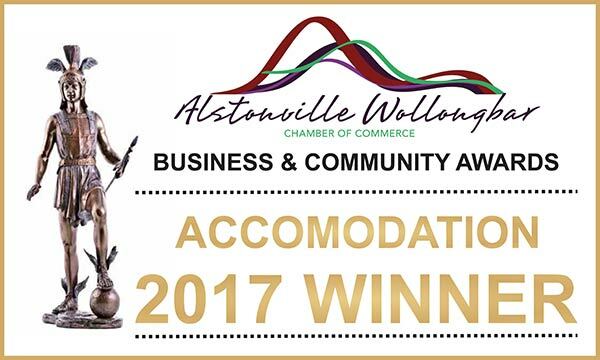 Alstonville Country Cottages is an exclusive hideaway located in Northern NSW, minutes from the beaches and colourful hinterland towns, it is located close to everything the North Coast of NSW is famous for. This tranquil private escape is set on 42 acres of subtropical property Alstonville Cottages Cottages has 8 well designed and individually landscaped cottages with either 1 or 2 bedrooms and most with Ocean Views. Each cottage is pet friendly and fully self-contained with full kitchens, Webber BBQs, enclosed (gated) verandahs with outdoor seating and privacy. The grounds offer a large shaded swimming pool, fruit trees, wood fired pizza oven, communal eating / gathering areas, fire pit, a function room, farm animals (goats, chickens, horses, cows and two very friendly dogs) to meet and feed as well as walks to Duck Creek along a graded track through subtropical rainforest. Of course, all activities are optional so why not just relax in your private cottage, set amongst the palm trees and native flowering trees and shrubs. If you decide to bring your dog along, they will definitely enjoy swimming in the creek or taking a walk on the nearby pet friendly beaches. 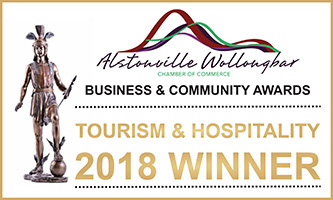 Driving into Alstonville Country Cottages you experience a feeling of space and tranquility while still having many attractions and activities on the property and nearby. Groups, weddings, retreats, workshops and events welcome for day hire of the function room, as part of a special accommodation and room hire package or accommodation only package (group discounts rates apply, catering options available). Enquiries and drive-in viewings welcome.